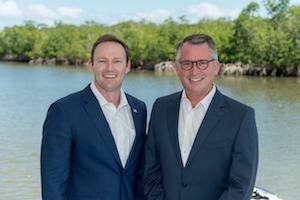 As part of the Respect & Rebellion speaker series presented by ProCon.org and The Village Square, former US Representatives David Jolly (R-Fl) (pictured right) and Patrick Murphy (D-Fl) (pictured left) will lead a moderated conversation in the Surfboard Room at Payson Library on Tuesday, October 23, at 10:30 AM. The discussion will explore opportunities for bipartisan leadership and how to build political consensus in times of political division, offering an alternate vision for the future of civil discourse and political leadership. This event is hosted by Pepperdine University Libraries in collaboration with the Seaver College Social Science Division. For additional information and to reserve tickets, visit the event’s registration page on the Pepperdine website.